This little girl was an absolute doll! She made such a fantastic model. I was captivated by her angelic beauty. Her fair skin, big blue eyes and adorable smile made it hard to stay focused on capturing her images. She was so happy to pose and show off the adorable outfit Mom chose for the Baby Photographer San Carlos session, but there was one accessory that she was not particularly thrilled about. 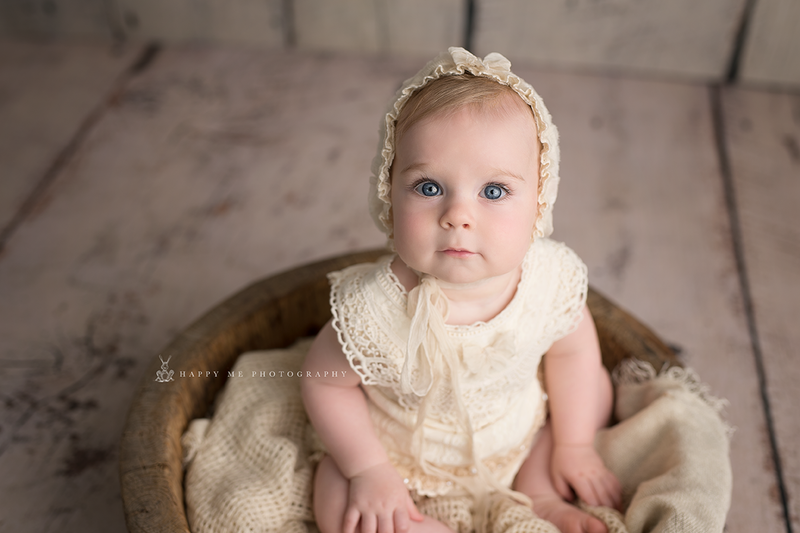 All gorgeous models tend to have an attitude about something, and Baby Lisa was just not having anything to do with the headbands we tried to have her wear for her session. You would never know by the happy, smiling images shown, since we captured some before she got frustrated and took them off. 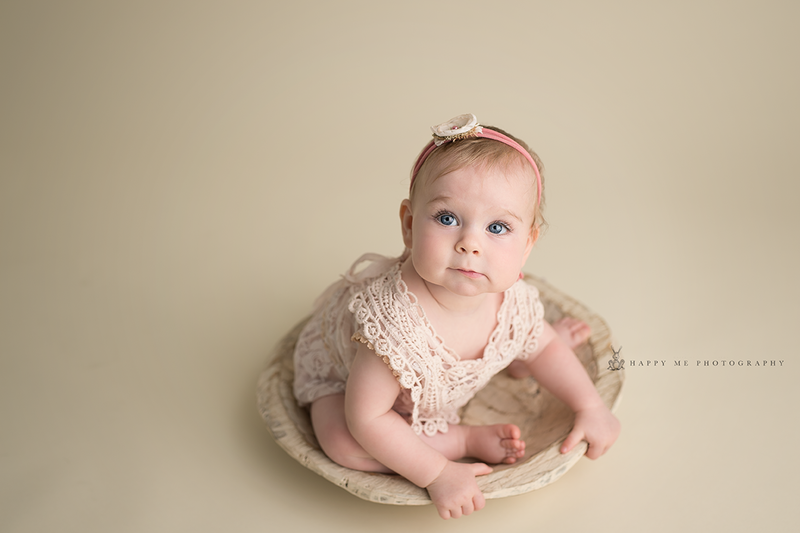 Her outfit was provided by my studio, and it looked totally adorable on her. 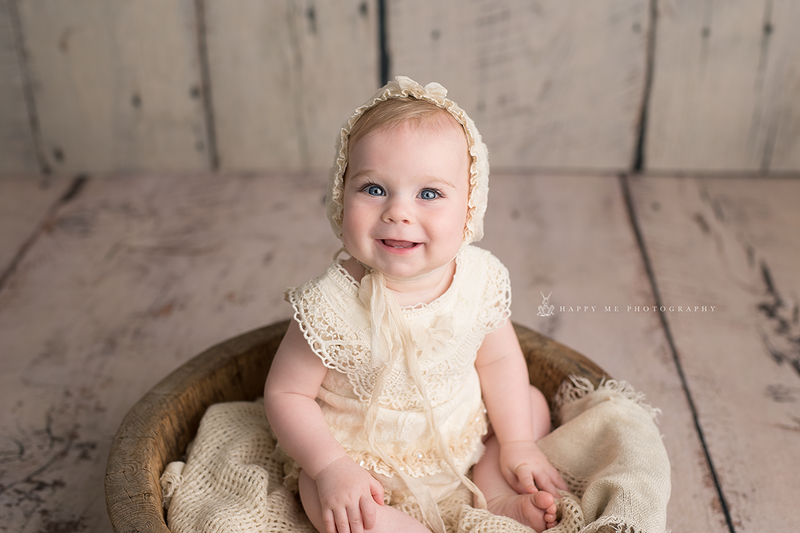 The feminine lace and frills were just precious on this sweet little one. We had a such great time together at this shoot. 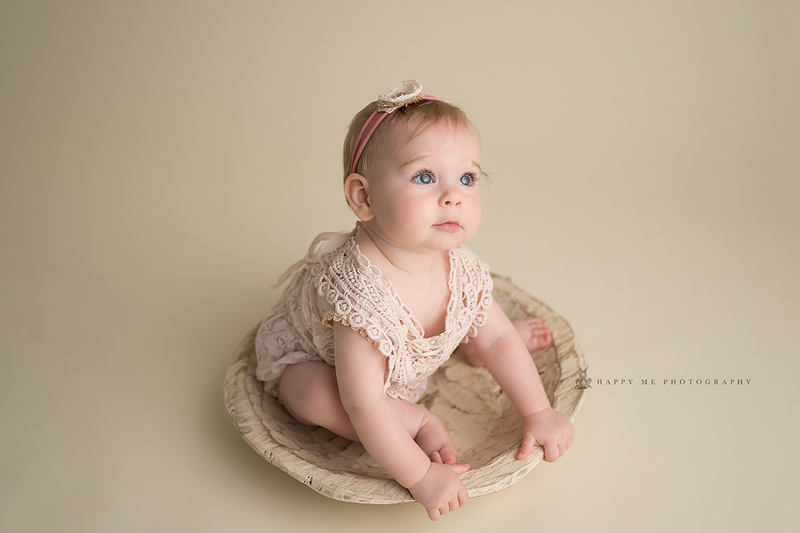 I am so glad mom, Amy, contacted me to arrange the session with Little Lisa. 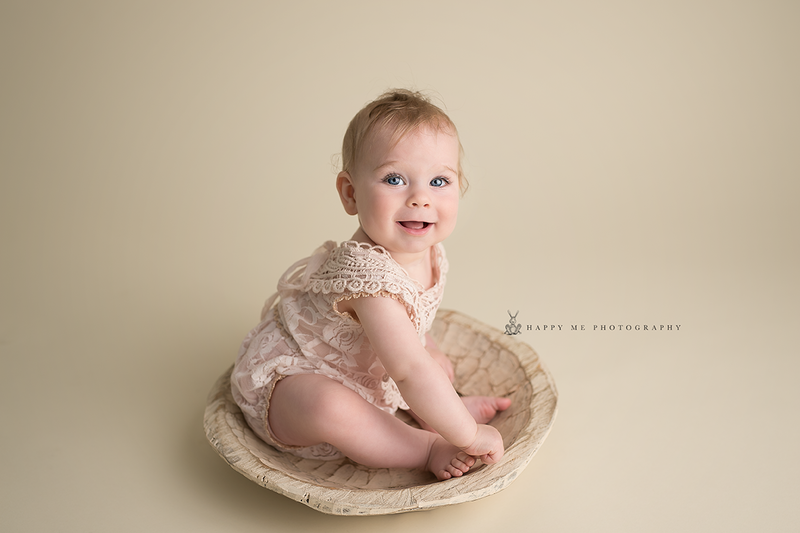 This eight month old cutie has such a great personality! Her adorable little giggle was contagious and her smile was just radiant. She had a twinkle in her eyes. People always talk about the “it” factor, or the special thing, or even say that some people sparkle. This little girl exhibited those features, and it really shines through in these photos. It was hard to narrow down the ones I wanted to use here, and that is not a bad problem to have. Booking a session is easy . You can check my SCHEDULE and book a session yourself or you can contact me if you have any questions. You might also visit my FAQ’s page.